As part of the #SciFund Challenge, John Gust, a doctoral student in anthropology at UC Riverside, is looking for a small amount of funding to finish his research. I read about John’s RocketHub project – Send John to the Jungle – but wanted to know more about his research goals and the importance of his work. In addition to social unrest, at this time in Mexico, the first age of globalization got going. Foreign capital, ideas, images, and goods were being funneled into even very remote areas as the resources were being harvested for export. Yet the area of Mexico in which I work is very hard to farm mechanically due to thin soils. I am interested in a number of questions, such as: What effects did this area’s resources have on the destinations of the exports, and vice versa? Did the eventual failure of the agricultural industries relate strictly to environmental problems or was it affected by continuing Caste War violence? Globalization continues today, and it’s important to understand its beginning to fully understand current processes. A particularly germane aspect of globalization is the movement of people. Although Cancun is a quickly-developing tourist area, the Mexican state underfunds the Yucatan Peninsula. The government projects that are funded tend to focus on natural pools known as cenotes and cultural wealth, such as the large-scale archaeological sites of the Classic-period Maya civilization. 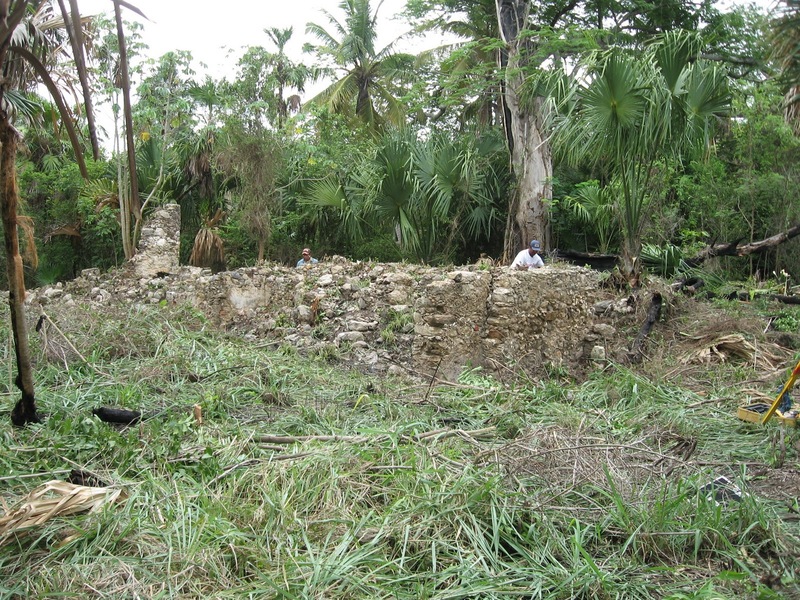 This focus on large-scale cultural patrimony ignores the last several centuries of Mayan history. Following the Classic period, the Maya have lived in settlements of various sizes – some large, some smaller – but without the monumental architecture that is seen as a hallmark of the Classic period. Up to the 1970s, many people made their living through extraction of mahogany, dyewood, and chicle (natural chewing gum base). These industries were spread out on the landscape and lacked large concentrated factories, meaning travel and transportation were important to the livelihood of the Maya. The routes the Maya used tended to follow ancient roads because they were the best paths. As you know, there has been a longstanding bias pretty much worldwide towards larger sites with elite contexts, and that continues in some ways today in the Maya area. In terms of the Historic period, there has been little archaeology in Mexico generally. The archaeology that has been done is problematic – much of it has aided reconstruction of large, primarily Spanish or otherwise white-owned settlements. There has been basically no research focused on the lives of the non-elite – the average Maya. Past historical archaeology projects, for example, have told us what a building looked like 300 years ago but do not tell us about the people forced to build it. My project is important because it looks squarely at the common people in the area – people who worked at sugar plantations and whose life histories are otherwise lost. Archaeology will help us tell their stories. The fact that John’s project focuses on the commoners is particularly compelling for me, since my own bioarchaeological research deals with understanding the non-elite of a civilization that was large and understood through the eyes of the elite. If you’re interested in funding his research, he needs just $200 more to finish his dissertation research. For a $40 contribution, you get your very own pint glass with the logo of his research team on it. And, be honest, every good archaeologist has a growing stash of pint glasses! John notes that funding beyond his goal will go towards the costs associated with the project – namely, costs associated with traveling to and accessing the field site.